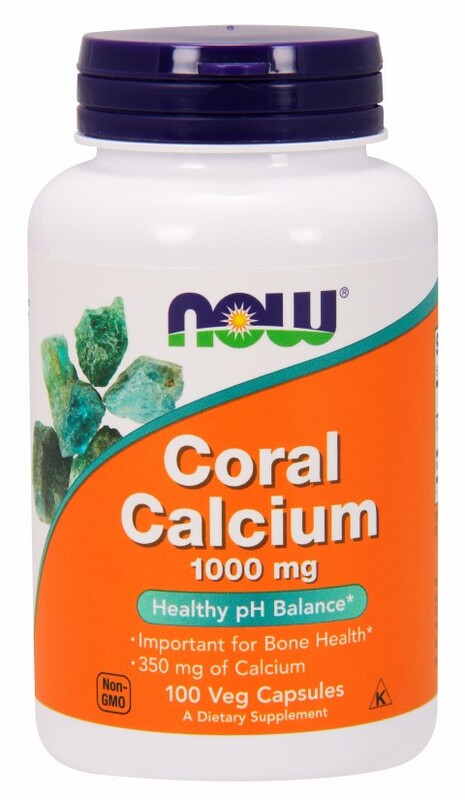 NOW- Coral Calcium contains an alkaline form of Calcium that can help to support a healthy serum pH. In addition, Coral Calcium contains a number of trace minerals that are important for bone health, as well as for optimal enzymatic activity. * NOW- Coral Calcium is not harvested from living coral reefs or even from the ocean environment, but from above-ground sources in Okinawa in an ecologically friendly manner. Suggested Usage: As a dietary supplement, take 1 Vcaps- 2 to 3 times daily, preferably before meals with water. Consider taking this product in combination with these NOW- products: Magnesium, OsteoBoron, Vitamin D and Zinc.